A Stanford research project explored the key differences between lives of happiness and meaningfulness. While the two are similar, dramatic differences exist – and one should not underestimate the power of meaningfulness. “The quest for meaning is a key part of what makes us human,” the researchers concluded. 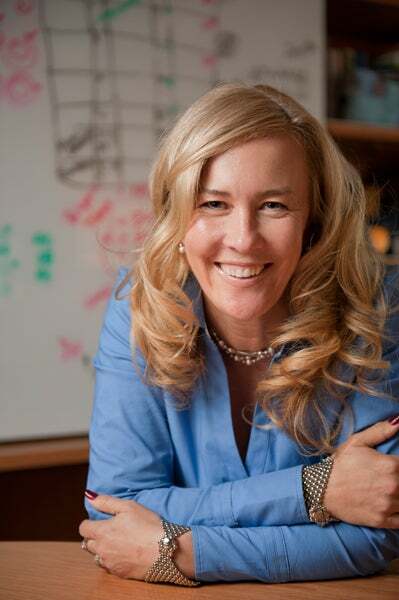 L.A. Cicero Social psychologist Jennifer Aaker studies happiness and meaningfulness in life. “Happiness was linked to being a taker rather than a giver, whereas meaningfulness went with being a giver rather than a taker,” Aaker said. • Getting what you want and need: While satisfying desires was a reliable source of happiness, it had nothing to do with a sense of meaning. For example, healthy people are happier than sick people, but the lives of sick people do not lack meaning. • Past, present and future: Happiness is about the present, and meaning is about linking the past, present and future. When people spend time thinking about the future or past, the more meaningful, and less happy, their lives become. On the other hand, if people think about the here and now, they are happier. • Social life: Connections to other people are important both for meaning and happiness. But the nature of those relationships is how they differ. Deep relationships – such as family – increase meaning, while spending time with friends may increase happiness but had little effect on meaning. Time with loved ones involves hashing out problems or challenges, while time with friends may simply foster good feelings without much responsibility. • Struggles and stresses: Highly meaningful lives encounter lots of negative events and issues, which can result in unhappiness. Raising children can be joyful but it is also connected to high stress – thus meaningfulness – and not always happiness. While the lack of stress may make one happier – like when people retire and no longer have the pressure of work demands – meaningfulness drops. • Self and personal identity: If happiness is about getting what you want, then meaningfulness is about expressing and defining yourself. A life of meaning is more deeply tied to a valued sense of self and one’s purpose in the larger context of life and community. Aaker points out that this type of life has received less attention in the media, which has recently focused on how to cultivate the happy life. Examples of highly meaningful, but not necessarily happy, lives may include nursing, social work or even activism. The unhappy but meaningful life involves difficult undertakings and can be characterized by stress, struggle and challenges. However, while sometimes unhappy in the moment, these people – connected to a larger sense of purpose and value – make positive contributions to society. Happiness without meaning is characterized by a relatively shallow and often self-oriented life, in which things go well, needs and desires are easily satisfied, and difficult or taxing entanglements are avoided, the report noted. And so, the meaningful life guides actions from the past through the present to the future, giving one a sense of direction. It offers ways to value good and bad alike, and gives us justifications for our aspirations. From achieving our goals to regarding ourselves in a positive light, a life of meaningfulness is considerably different than mere happiness. “People have strong inner desires that shape their lives with purpose and focus – qualities that ultimately make for a uniquely human experience,” said Aaker. The research team included Roy Baumeister at Florida State University, Kathleen Vohs at the University of Minnesota and Stanford doctoral student Emily Garbinsky.